"Oman is still very undiscovered and virgin.The omanis are very friendly and kind people.Do you know?Salalah is the only place in the Arabian Peninsula that has a regular monsoon season which turns the place into green paradise.That we have got one of the world's largest cave chambers!For you,someone in the age group of 20-30,we have got every adventure possible in every terrain imaginable.We have got a lot more to see,to do." The weekend starts on Thursday afternoon and continues till Friday. 5)Join the annual Khareef Festival(July & August) and Salalah Tourism Festival(June & September"
3)Taxis are best way to get around.Though it is essential to agree on to the fare beforehand as most of the taxis are not metered. 4)ONTC operates a network of long distance & suburban route buses. Oman tourism recommends to visit a reputable travel agent who can help with best airfares and stay options. beautiful place . As an avid traveler i would love to visit this place. thanks for sharing. 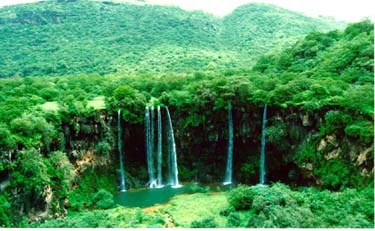 Oman is one wonderful place I would love to visit. @Glapagos Island Travel: Thanks so much for the kind appreciation.Would love to visit Glapagos Island someday,such a beautiful place.